Marketing performance management (MPM) is more important than ever before. Given how fast customer preferences change and marketing trend data becomes available, marketers need a clear process in place for marketing measurement, planning and execution. 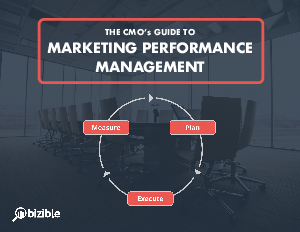 In this guide for B2B marketing leaders, you'll learn: 1) a clear definition for marketing performance management, 2) a marketing performance management framework, 3) how to assess your marketing measurement process, 4) how to do marketing planning, and more!